I am jumping on my toes in anticipation for the release of Half Bad--I love unpredictable and well crafted novels. 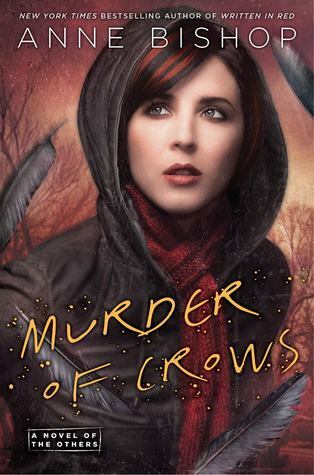 As for Murder of Crows, the hype surrounding the first book has me convinced that I need to pick it up soon. I have to say, I am pretty excited about books right now! Well, I'm always excited but now I am extra excited. I feel like there are so many new and fantastic books being released and Half Bad is one of these. I've only heard of it recently but your review has cemented my need to read it, stat! 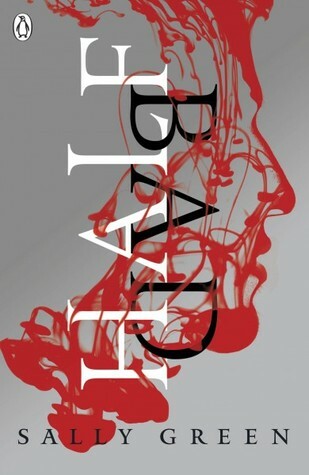 I can't wait to read Half Bad - now even more after you liked it that much. I really didn't like Half Bad but I love that it's a polarizing book with people loving and hating it. Yay for books that provoke reactions (as opposed to meh books). LOVE this new Anne Bishop series. LOVE. Half Bad is getting a lot of buzz lately. Sounds like Nathan is a poor kid. Can't wait to get my hands on it. Lovely reviews, dear!! I definitely was one of those readers who struggled with the second person narration Keertana! It was so much the second person itself but the seeming randomness of it, coming into play only in the beginning and then once in the middle. I'm so glad the story worked so well for you though, and I'm definitely curious to see where things will go for Nathan moving forward. I need to get Murder of Crows for my mother in law, she loved Written in Red!! Hm... I think now I get why Half Bad had been getting mixed reviews. Still sounds fab and as long as I'm into the characters as much as you are, then I'm good. Oh and I just got Written in Red. Can't wait to dive into this world. So glad that the second rocks as well. I admit to not paying much attention to Half Bad these last few weeks only up until recently. You know how much I enjoy my books which make you feel, so think that I will really be able to appreciate this book. And I'm glad to see that Bishop provided you with a wonderful follow up in Murder of Crows! Gorgeous reviews Keertana! I did not read your review of Murder of Crows since I am dying in anticipation. My audible will arrive tomorrow..squee! I have Half Bad, and wasn't sure if I wanted to read it or not, I must say Keertana your review has me curious. I definitely fell hard for Nathan in Half Bad, and hurt when he hurt. I agree that the characters are the strongest. So many great secondaries in this book. I hope we see many of them again. I'm interested how the Black/White witch divide will play out in the future. And I'm definitely excited to see where Nathan's journey goes. We're also in agreement about what that should mean for the romance :). "Enticing" is a good word for this book. Great review. YES! I love the Others series so much as you know. I like this sentence, "Where Murder of Crows shines is in its prose, Bishop introducing perspectives of characters which later play a larger role as the novel wears on." These characters stand out so well, though the world building is also incredibly strong. It's just a rich book all around. I agree that #2 is in many ways Simon's book, and we get much less of Meg's daily life and relationships. I did miss Sam and even a bit more of Tess. But I also appreciated the zooming out into the larger world, and I think since we know Meg so well, this book's shifting focus made sense. She's the center of everything but not directing the action. I love the slow burn between Simon and Meg and I cannot wait to see what happens in book 2. Insightful review as always! I'm planing on reading both of these. Half-Blood is something that appeals to me and knowing my reading preferences I know I'm going to love it. When you connect with the character it's always great to follow the story. For the Murder of Crows. I honestly I have seen the first book around but with all these glowing reviews for this one I'm going to get to it soon. I am reading Half-Bad in the next few days :D so excited. Lot's of feels huh? And of course still swooing over The Other's series..must read. Ah, I'm finally here to read your review of MURDER OF CROWS and I'm glad to see that you enjoyed it! Simon really does steal the show, it's impossible to resist all that wolfish charm. I am with you in wanting more shown with the secondary characters, though, particularly in Meg's relationships with them. There are so many fascinating ones, and while we don't need ALL of them to be explored and we do get some nice moments with some, I think it would make the series stronger if a little more time was spent with some of the fascinating characters hovering in the background.